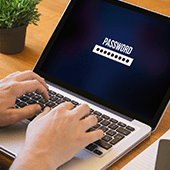 In 2003, a manager at the National Institute of Standards and Technology (NIST) authored a document on password best practices for businesses, federal agencies, and academic institutions. More recently, however, the institute has reversed its stance. Find out why and what great passwords are made of. This may seem secure, but in reality, these strings of characters and numbers could easily be compromised by hackers using common algorithms. To make matters worse, NIST also recommended that people change their passwords regularly, but did not define what it actually means to “change” them. Since people thought their passwords were already secure with special characters, most only added one number or symbol. NIST essentially forced everyone to use passwords that are hard for humans to remember but easy for computers to guess. Recently, the institution admitted that this scheme can cause more problems than solutions. It has reversed its stance on organizational password management requirements, and is now recommending banishing forced periodic password changes and getting rid of complexity requirements. Security consultant Frank Abagnale and Chief hacking officer for KnowBe4 Kevin Mitnick both see a future without passwords. Both security experts advise enterprises to utilize multifactor authentication (MFA) in login policies. This requires users to present two valid credentials to gain access to their data. For instance, a code texted to an employee’s smartphone can serve as an added security measure to thwart hackers. Moreover, Mitnick recommended implementing long passphrases of 25 characters or more, such as “correcthorsebatterystaple” or “iknewweretroublewhenwalkedin5623”. These are much more difficult to guess and less prone to hacking. As for the frequency of changing passphrases, it will depend on a company’s risk tolerance. Simply put, passwords should be longer and include nonsensical phrases and English words that make it almost impossible for an automated system to make sense of. When it comes to security, ignorance is the biggest threat. If you’d like to learn about what else you can do, just give us a call.